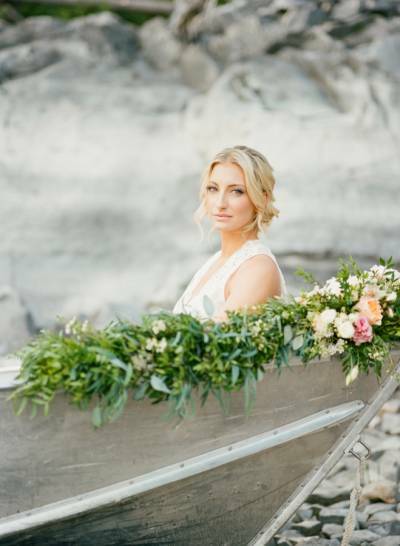 We headed out to the beautiful shores of Lake Minnewanka for this gorgeous photo shoot with Emily Katharine Photography and JoyFoley Weddings. 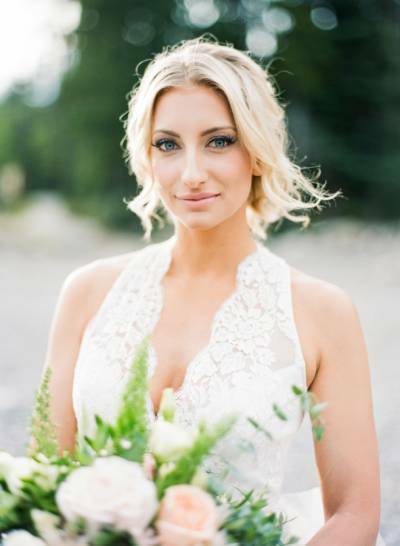 As the Banff makeup artist for the shoot we created a makeup look that was soft and romantic in order to pair perfectly with all of the styling, details and her gorgeous gown. A neutral color scheme allowed us to accent Sarah's gorgeous eyes and we added a touch of pink to her perfect pout to finish the look. 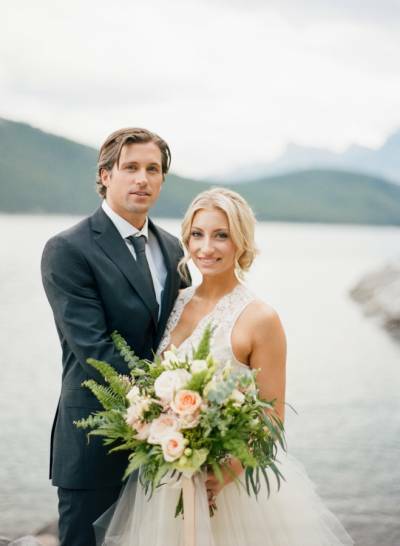 We were excited to see this Banff elopement shoot was featured today on the beautiful pages of Style Me Pretty (you can check out the entire post here). 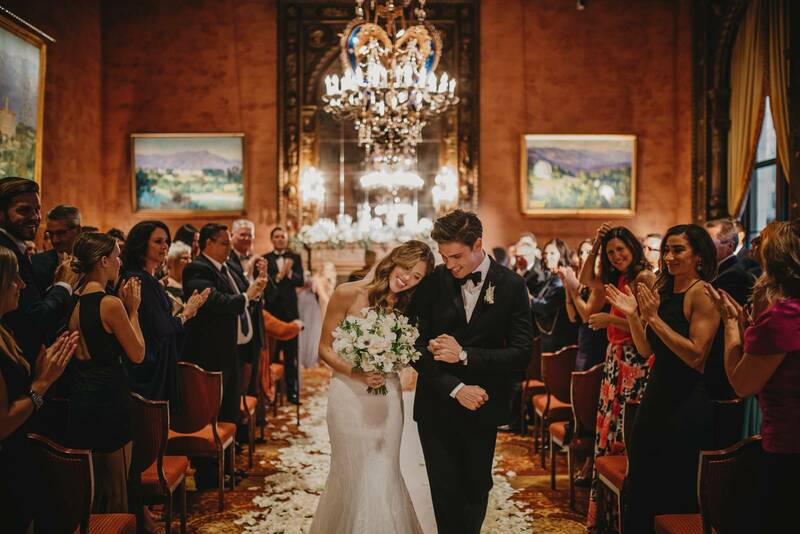 Sarah was dressed in the beautiful Zephyr gown by Elizabeth Dye from The Bridal Boutique in Calgary and Rob was suited up by the gentlemen at Ed Williams Menswear. I went for a classic, romantic feel that would allow the beautiful backdrop to add the simple drama that we wanted. Jaime Gage from Fleurish Flower Shop helped to bring my floral visions to life with a soft, elegant and romantic floral scheme. The bouquet, accented with beautiful ribbons from Frou Frou Chic, was the perfect combination of simple and dramatic. The floral boat garland, floral crown and cake flowers were the epitome of accent piece perfection. Jill Mayer of Art & Alexander brought her a-game to our custom calligraphy vows. Written in a soft grey ink, to perfectly pair with our The Mrs. Box ring box, Jill created vows that would make even the biggest romantic melt. The beauty team was created with two of Canmore's greatest talents.  The Pretty Haus and Lilies and Lace Beauty Co. Worked together to create Sarah's soft and romantic look. 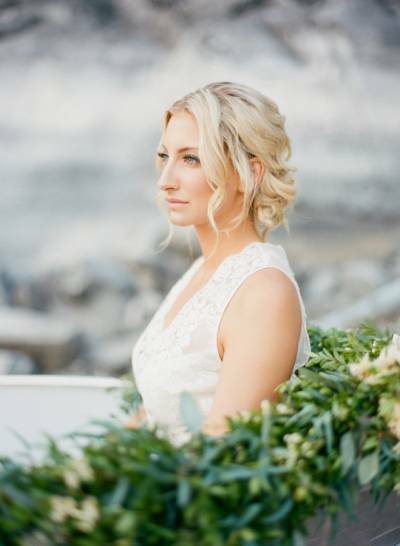 A neutral color scheme allowed us to accent Sarah's gorgeous eyes and her perfect pout. Sarah's hair was upswept and created the perfect amount of drama around her face.